We are not only drinking wine, you know. We take care of ourselves and eat healthy. At least we try to. Me and my husband are fans of granola. 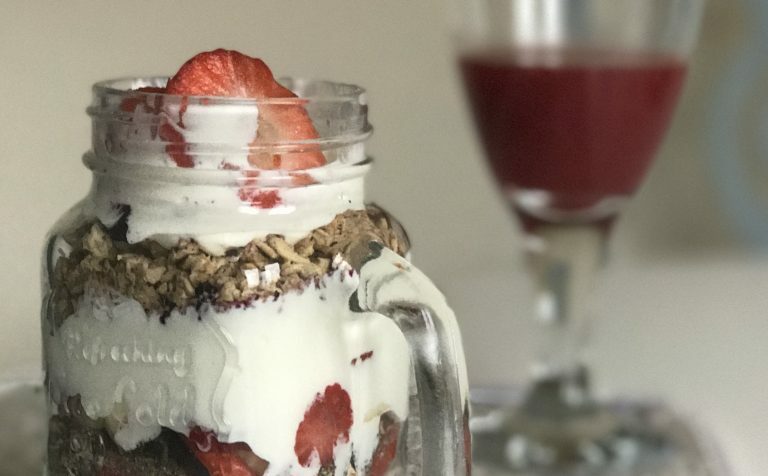 Especially during the week when you don’t have a lot of time to prepare breakfast granola, fruit and yogurt are delicious and quick option. Last week we first time made our own and we loved it. Below is the recipe we used. Combine all dry ingredients except cocoa powder and salt. In a small saucepan melt coconut oil over low heat. Add rice malt syrup, vanilla, salt and cocoa powder to the melted coconut oil. Whisk until smooth. Pour liquid ingredients over dry and fold to coat. Spread mixture out in an even layer on a baking tray lined with baking paper and press firmly with the back of spatula to ensure the mixture is compact. Bake for approximately 15 minutes. Remove from the oven and flip in large chunks. Return to oven to bake for another 10 minutes stirring every few minutes to avoid overbaking. If you are not sure if granola is done, try nuts, they take longest to bake and they should have a nice nutty roasted taste. Once baked you can add raisins, dried cranberries or other similar fruit to your granola. 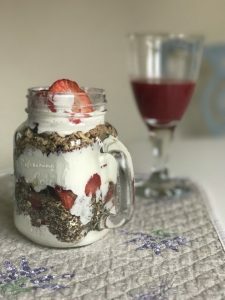 You can serve it with natural full fat yogurt, your favorite milk (we love almond) and some fresh or frozen red fruits. 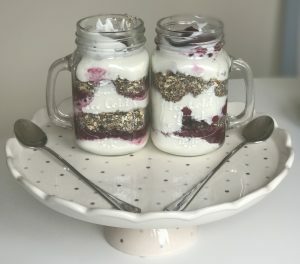 For wow looks serve in a nice jar in layers.